-Share your fascinating travel adventures with your friends, family or co-workers, relive exciting moments and get inspired to set off on new destinations on the Scratch Off Map. -Add color to a conventional room wall, creating your own travel-corner with this premium scratch map! Excellent high resolution printing with classy color combinations makes this stunning large world map poster a precious stylish addition that will make your guests’ heads turn! 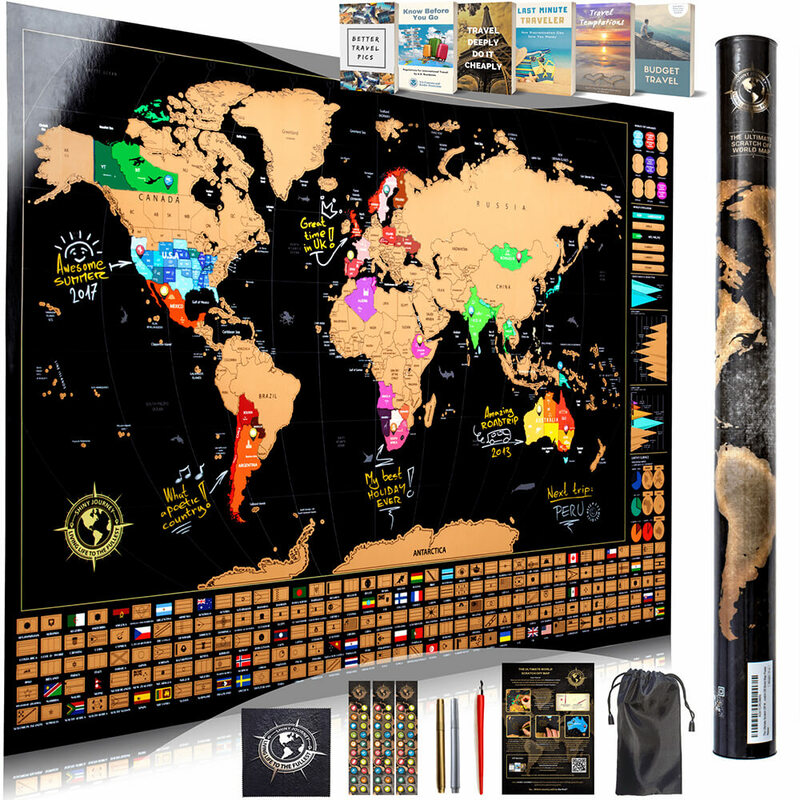 -Easily scratch the upper foil of this high-end 24”x34”travel tracker and swell with pride for your travel adventures! Scratch off each visited country and particular flag. Also scratch away the infographics to reveal incredible facts about this amazing world we all share. -Spoil your loved travel enthusiasts with a peerless quality gift to help them track their travels while showing off your exquisite taste! Offer this deluxe scratch map on your friends’ or co-workers’ birthdays, Christmas or on any festive occasion and enjoy their ear-to-ear smile upon unwrapping this inspiring gift.